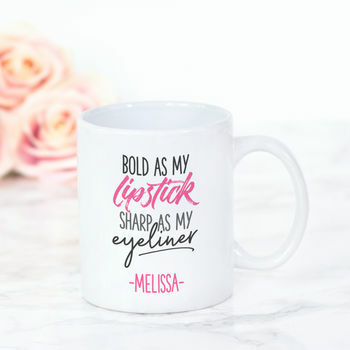 Personalised 'As bold as my lipstick, sharp as my eyeliner' ceramic mug. 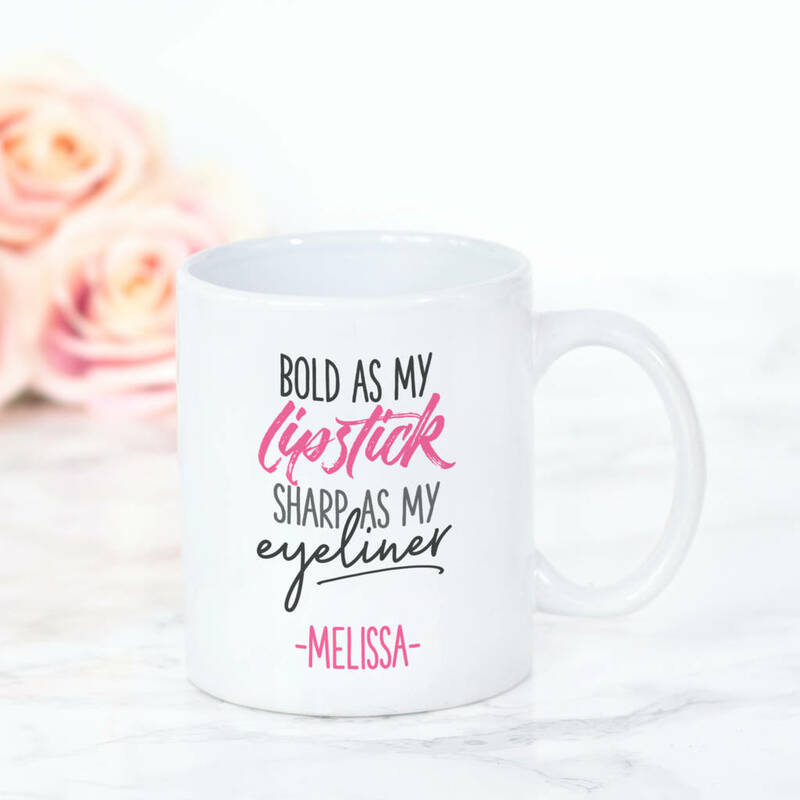 This gorgeous personalised black and hot pink 'Bold as my lipstick and sharp as my eyeliner' mug the perfect inspirational way to start your day. This mug is a great gift for all make up lovers for their favourite drink or even store make up brushes! Matching high gloss hardboard coaster available! This mug can be personalised with the name of your choice.